Heavy Metal. Google's latest Nexus flagship 6P follows in the footsteps of the old Nexus 6 with its 5.7-inch display and the fastest SoC you can currently get from Qualcomm. However, there is now another rival from Google itself, the Nexus 5X, and it is even 120 Euros (~$131) cheaper. Is the more expensive smartphone worth the money and how does the top model hold up against other competitors? Early last summer I attended a Google launch I have already told you about Chromecast and Chromecast Audio. Here is a Chrome phone running AndroidMarshmallow (Android 6) – also launched at that event - from Nexus part of Google but made by Huawei and this one is from Vodafone, follow that, good. The Nexus 6P is a phone to showcase Android 6.0 Marshmallow. Thanks to well-executed features at a fair price, the Nexus 6P is one of the best large-screen Android phones around. However, with phones like the LG G4 and Samsung Galaxy S6 already dropping significantly in price at many retailers, the Nexus 6P isn’t quite as outstanding value as other Nexus devices were when they launched. We review Google's Nexus 6P smartphone, which launched recently as the premium flagship for Android 6.0 Marshmallow. Kishore's been testing it for a month, and we discuss how its performance compares to other flagships, the new camera, and what it's like to use Google's Project Fi cellular plan. Which flagship Android phone is better? Not forgetting that this comparison is based on our hands-on review of the S7 and considerably more in-depth testing and prolonged use of the 6P, we can only come to preliminary conclusions about this particular battle. The Nexus 6P has two main advantages over its rival: price and plain Android. Those who use their phone’s built-in speakers a lot will also like the front-facing stereo speakers. The bigger screen may also be an advantage if you want a larger phone. The S7 is more expensive, but is also faster, has expandable storage, is waterproof, and has optical stabilisation for the camera and native support for 1080p60. Few will buy it for the heart-rate monitor. For some people, that list will make the S7 worth the extra price, while others will see the 6P’s drawbacks as reasonable compromises for the cheaper price. The Nexus 6P is an excellent phone to showcase Android 6.0 Marshmallow. Thanks to well-executed features at a fair price, the Nexus 6P is one of the best large-screen Android phones around. However, with phones like the LG G4 and Samsung Galaxy S6 already dropping significantly in price at many retailers, the Nexus 6P isn’t quite as outstanding value as other Nexus devices were when they launched. Huawei's own-brand smartphones can be a bit inconsistent in quality. This team-up with Google, on the other hand, has produced something excellent: a powerful, well-built, long-lasting phablet with a superb display and highly capable main camera. What's more, all that comes at a price that makes Apple and Samsung's nearest equivalents look like preposterously lavish indulgences. There's something special about a smartphone that starts up with the Google logo. My expectations of a device that does that immediately form themsleves in my head. I expect it to feel clean on the inside with no intrusive apps I wouldn't want; I expect it to work very smoothly, and I expect it to be the best Android experience possible. Spoiler alert: the results of the voting are revealed below. It's not too late to check out the camera samples on the second page with an open mind and pick your favorite. Thanks to everyone who voted on the blind shootout! We made it more difficult this time around by concealing the FoV of the different phones, but we saw some very accurate guesses in the comments. So there you have it for this in-depth look at the Nexus 6P! Some people might scoff at the price, especially those who still consider the Nexus line to be an affordable series that brings with it essential Android experiences. Last year’s Nexus 6 bucked that trend, and the Nexus 6P continues it by truly looking and feeling high-end, while offering a premium experience under the hood, including a camera that finally does justice to the flagship line. If you do want Android in its purest state, either of the two 2015 Nexus smartphones will do, but when looking for a high-end experience, the Nexus 6P takes the crown. As an Android phone that is capable of satisfying just about anyone, the Nexus 6P is definitely worthy of your consideration. 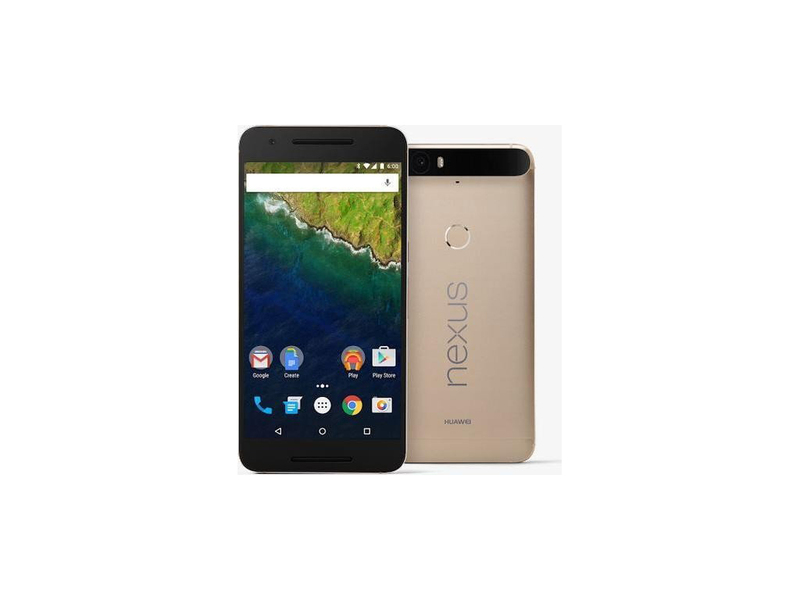 The Nexus 6P is a premium handset, it will cost you at least $100 more than the Nexus 5X, however its combination of price and value makes it easy to recommend. The entry-level 32 GB model will set you back just $499, which is currently $130 less than the similar Samsung Galaxy Note 5, and over $300 cheaper than the iPhone 6s Plus. The Moto X Style, another recent 5.7-inch handset running stock Android, is $50 cheaper than the Nexus 6P, but I would recommend spending the extra cash to get the better device. As we reach the conclusion of our Nexus 6P review, we’re hopefully left with a more educated view of how the 6P performs and why it perform as it does. It’s also the first showing from Huawei as a Nexus partner, and I think that Huawei has proven itself to be an extremely competent partner at that. So, there you have it for this second look at the Nexus 6P! Google and Huawei have built a phone that can finally compete with the best Android flagships out there with their being no corners cut with the high-end Nexus offering. This smartphone is a great choice for not only fans of the Nexus line, but Android fans in general, and if you are looking for the best Android experience that Google has to offer, look no further than the Nexus 6P! The Nexus 6P is a great handset, which brings a lot of value for the money. As the high-end Nexus handset it has been designed with a “Premium” feel and hardware that justifies its $499 price, especially since it often behaves like a $700 phone. The camera is very good, but despite the large-pixel sensor, it can’t beat the Galaxy S6 Series (Note 5, S6, S6 Edge, S6 Edge+) which remains the top Android camera phone at the moment. But since the S6 currently costs about $510 (unlocked), the difference isn’t as big as one may think. In the end, I am impressed by the overall quality of this phone which is built by Huawei. This is without a doubt the best Huawei handset to date and we’re looking forward to seeing what this brand will come up with in 2016. To conclude, I’d like to add that beyond the handset itself, I have heard a lot of praise about Google’s customer service, which seems to be impeccable, not only in the USA, but also in European countries. Also, keep in mind that Nexus phones tend to be the first ones to get new Android updates, which is a big selling point for many. Performance wise, the Nexus 6P sits atop the Android crowd. Its unadulterated edition of Android Marshmallow paired with Qualcomm's mighty Snapdragon 810 V2.1 posted to top-tier results across all our benchmarks, from browsing to gaming. You'll be hard-pressed to find a more elegantly performing device for under $500. Now we reach the conclusion of this review. I have been really impressed with the Nexus 6P. It ticks all the boxes in what you could want for a flagship Android phone and it can even play in the same sandpit with the big boys in the market. Whilst it may not be perfect, for instance I would like more built-in camera control, it is pretty damn close. The only negative’s that I can really place my finger on are the price of entry and no expandable storage. The price feels a bit high for those looking for a Nexus class device. That being said, the full package delivers on what it says it is going to do. If there’s one good thing last year’s Nexus 6 did, it was to cause the perception of Nexus devices being cheap to shift. If you have read the review completely, you may have seen some words quite often such as smooth, fast, quick. In the Android ecosystem, the Google Nexus 6P clearly stands much higher than other flagship competition. The Samsung Galaxy S6 series is the only true competitor to the Nexus 6P. But the Nexus 6P has one weapon which is still to come to competition – Android 6.0 Marshmallow! At Rs 39,999, the Google Nexus 6P is the Android smartphone to go for if you are looking for a smooth experience, stock Android OS, great camera and a good battery life. There were barely any issues we faced with this phone. Large phone size, rear side getting warm while gaming would be nitpicking when put beside the advantages and user experience the phone offers. The Nexus 6P running Android 6.0 offers one thing that has been missing from other Android flagships – optimisation. Something we only observed with the Apple iPhone 6s Plus and iOS 9 this year. The way Nexus 6P has managed to keep the hot Snapdragon 810 chipset under check is praise worthy. The Nexus 6P is the best Google-designed smartphone, and it fully competes with the stellar Samsung Galaxy S6 Edge+ and LG G4, even before you factor in the significant price difference. The processor is fast, the aluminum body feels solid in one hand while operating it with two and the fingerprint sensor and Android Marshmallow software just work. The camera is a bit ugly, though it takes some pretty photos, and there’s no wireless charging. Those are okay oversights with a price that starts at £449. You’ll struggle to find a better Android for this amount of money. If you're looking for a new large-ish smartphone, we recommend taking a long and hard look at the Nexus 6P. You won't be able to do that in stores, as it's an online exclusive (from the Google Store and Huawei in the US), but if you take the chance and order blindly, we think you're unlikely to be disappointed. Delivers style, practicality and most of the features you need from a smartphone in an affordable package. The first no compromise Nexus is a beautiful, fast and worthy canvas for Android Marshmallow. If you’re looking for an Android phone, this is the one you want. It looks good, packs great hardware all-round and can deliver when pit against the market’s biggest rivals, literally as well as technically. Google finally gets the phablet right with the Nexus 6P, delivering the best big-screen Android experience under £450. The Nexus 6P starts at £449. Although that's a lot of money in the grand scheme of things (and much more than in the US), it isn't really in the smartphone world, where top-tier phones can cost a few hundred more and beyond. At this price point, you're typically looking at sub-flagship phones with premium specs, such as the HTC One A9. By comparison the Nexus 6P refocuses attention by offering plenty for its asking price. In a lot of ways, the Nexus 6P really is the best Nexus smartphone to date. It has all the features I loved about the Nexus 5X, including the excellent camera, the Nexus Imprint fingerprint sensor, long battery life, and quick battery charging. But it also has a higher-resolution display, stereo speakers that sound much better, more memory, a faster processor, and (optionally) more storage. The Nexus 6P is a luxury phone without the premium to match. Behind its aluminum finish are powerful phone specs that nearly keep up with Apple and Samsung's flagship phablets. That's because the Snapdragon 801 v2.1 processor gives Qualcomm's troubled chip new life, plus 3GB of RAM is just enough to future-proof the phone. There are shortcomings here as with any phone: some of Android Marshmallow’s new features aren’t quite ready for primetime; there’s a missed opportunity to take full advantage of the screen size; and the slippery casing is a big drop hazard. But the Nexus 6P really nails the fundamentals. It’s got a great display, a really good camera, solid battery life, and smooth software that’s guaranteed to get timely updates. The Nexus 6P is probably the most balanced Nexus Google has ever commissioned: it’s got the power to keep most diehard Android fans happy, the price to keep it accessible to “normal” folks, and a design that doesn’t alienate either group. That’s a tough mix to achieve, and Huawei and Google deserve kudos for getting there. Of course, the Nexus 6P isn’t entirely perfect. It’s missing a few flagship features, like wireless charging and OIS. But those aren’t deal breakers. If it’s the pure, premium Google Android experience you’re looking for, and you can handle its larger 5.7-inch size, you’ll want the Nexus 6P. And for about $200 less than the current crop of high-end phones, you’re getting a phone directly from Google that works on any cellular network. Huawei, in the end, stands to greatly benefit from the Nexus 6P. Its name on the back of the phone might be overshadowed by the humungous Nexus moniker that’s splashed on there as well, but it very well has deeper implications to its reputation. The Nexus 6P is without question, the single best designed Nexus device since the series’ genesis. Not only is it one meticulously crafted smartphone constructed from premium materials, but it manages to notch out an original design that doesn’t look like anything we’ve seen before – so it’s undeniably refreshing. The Nexus 6P is absolutely the best Nexus phone ever. Hell, it’s the best Android phone ever. And at $499 unlocked, it’s even cheaper than nearly all its competitors. Everything Google could do, it did. It proved how good Android can be—that an Android phone can be better than the iPhone. Now it needs a few developers to pick this thing up, and build something worthy of the smartphone of the future. There's no other unlocked device on the market that matches the 6P's combination of premium hardware and the latest software, all at a relatively modest price. Dollar for dollar, the Nexus 6P will give you bigger bang for your buck compared with other affordable unlocked devices like the and the . It's a close call with the Nexus 5X, but the premium build here is enough to tip me in favor of the 6P. It even holds its own against the more expensive Note 5. That makes it easy to name the Nexus 6P our new Editors' Choice for unlocked smartphones. The Nexus 6P isn't a perfect phone. Its power button is frustratingly touchy. Its design is a little lacking in charm. The camera, while better, isn't a huge leap over last year's. And yet, what Google and Huawei get right, they get very right. Android 6.0 Marshmallow is a thoughtful, valuable update even if it's not as outright dramatic as Lollipop was. If you love stock Android and a well-designed smartphone with long battery life, great cameras and a powerful processor, you're going to love the Nexus 6P. The $549 aluminum body shouts "flagship" to all that behold its metallic beauty. And with more than 12 hours of battery life, this smartphone outlasts all of its competition. Camera? Design? Performance? Software? All get a thumbs-up. Stand-outs include the finger scanner and the front camera, which are among the very best available at any price. While the Note 5 might have the edge in (main) camera and battery life, plus screen accuracy, that the Nexus 6P costs so much less makes it easy to recommend to those out for a large-screen phone. As with the Nexus 5X and other big names in the flagship Android space like the Samsung Galaxy S6/S6 Edge/Edge+, the 6P does away with a removable battery or expandable storage, but such features have been absent on Nexus devices for a while now. Instead you can nab this new premium phablet in 32GB, 64GB and 128GB capacities, whilst 4G connectivity, NFC and wireless charging are all part of the package no matter which skew takes your fancy. Positive: Large screen; good display; decent hardware. 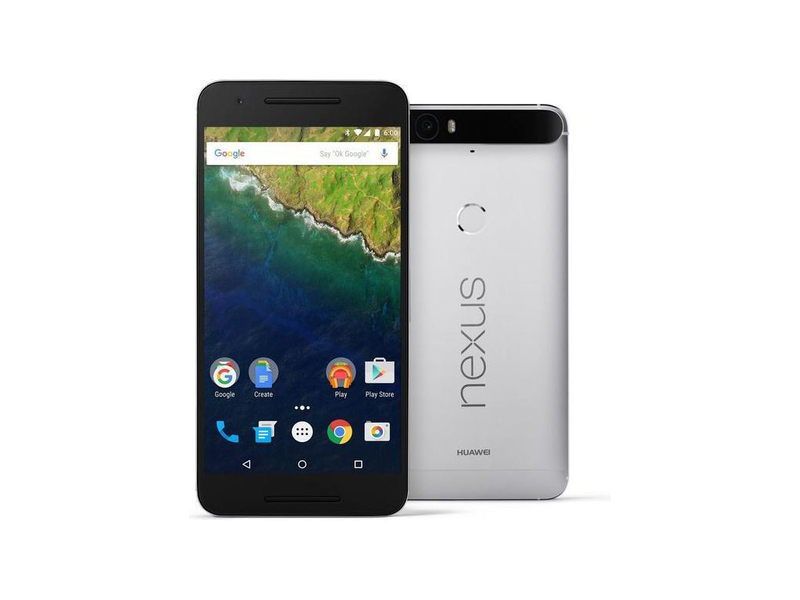 Model: The Google Nexus 6P is the latest Google smartphone created by Huawei. This collaboration certainly looks good with the all metal chassis elegantly designed with rounded edges. The fingerprint sensor is enclosed within a circular indentation at the rear. Users will definitely notice the premium build quality due to the perfect weight und rigid construction. Display on the device is a 5.7 inch AMOLED touchscreen protected by Corning Gorilla Glass 4. Color saturation and display sharpness are apparent even in bright surroundings. The main benefit of the Nexus line-up is the inclusion of an unadulterated Android OS with the privilege of running the latest OS created by Google. Hardware on the Google Nexus 6P consists of a Snapdragon 810 chipset with 2 quad-core Cortex CPUs, 3 GB of RAM, an Adreno 430 GPU and various storage configurations ranging from 32 to 128 GB. Users need to wisely select their storage option, since the storage capacity cannot be upgraded by using a microSD. There is a 12.3 MP, f/2.0 rear camera with laser autofocus and an 8 MP secondary front shooter. Audio quality is impressive with the front facing stereo speakers providing good clarity. 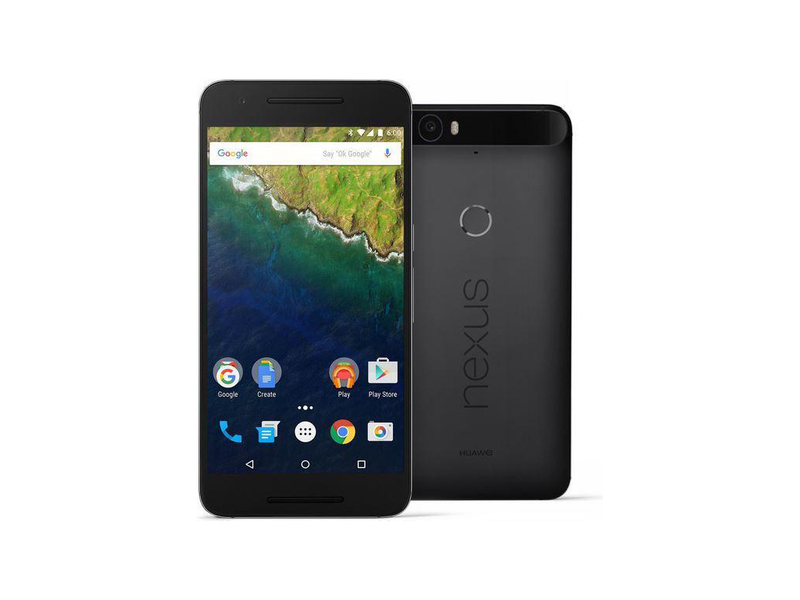 The Google Nexus 6P comes with Bluetooth 4.2, A-GPS, NFC, and the new USB v2.0 Type-C reversible connector. The device is powered by a non-removable Lithium-Polymer battery rated at 3450 mAh. 89.27%: There do not exist many models, which are rated better. The most ratings get ratings, which are a bit worse.